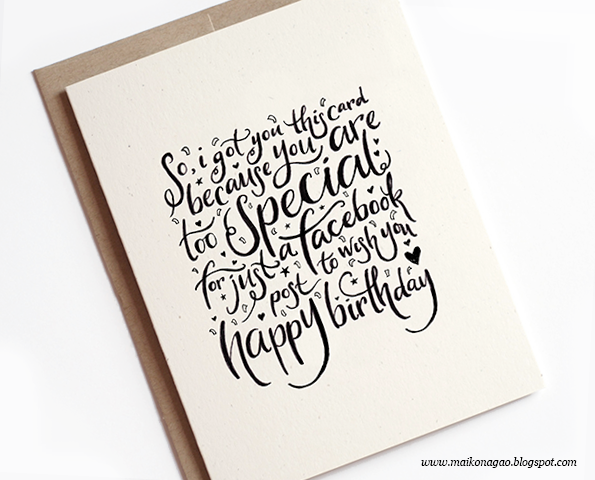 This was a quickie, but a Birthday card for a friend of mine I designed. I thought it was pretty neat so I'm sharing it with you all! You can download it FREE from the link below. Make sure you print on a thick A4 card and set it to 'fit to page' when printing. There are two grey lines at the top and bottom as markers for you to cut in half. *Please note these cards are for personal use only and not to be sold.